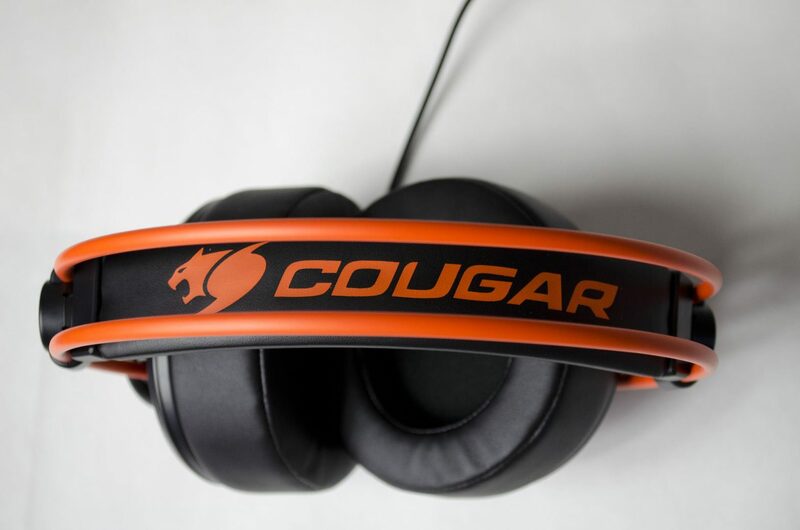 Up today, we have our first product from the good folks at COUGAR, by way of their new IMMERSA gaming headset. 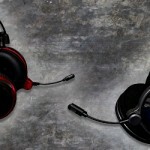 A good gaming headset can save your life in-game, literally. I know a lot of people are like, meh, they all do the same job, but that couldn’t be any more wrong. 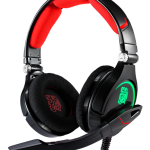 A good headset, when paired with a good sound card or onboard sound chip can make all the difference in game. Not only are the higher-end headsets generally louder, so it’s easier to hear your enemy, they also allow you to hear individual sounds better and give you a better tell of distances. This is especially helpful for someone such like me who is addicted to FPS games and has been for 20 years! Being able to hear where the enemy is and being able to determine how close they are getting is invaluable. It wasn’t until a couple years ago I really realised there was a difference, but now I’ll never go back to a cheap headset. 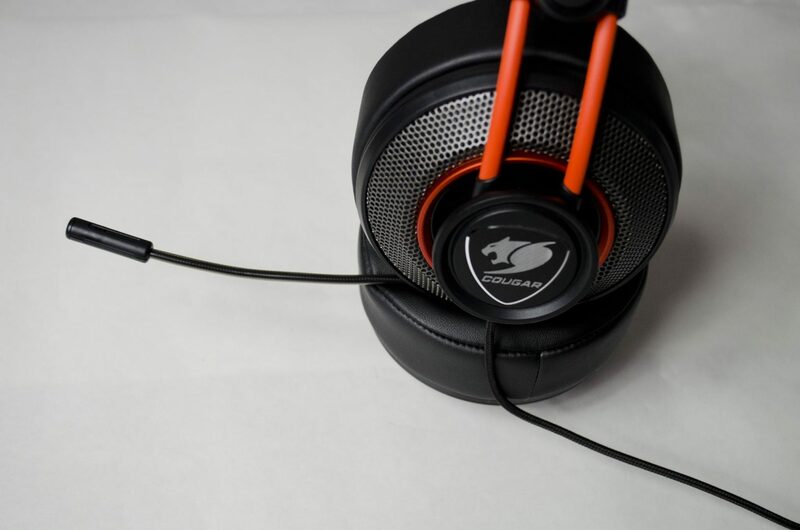 The Cougar Immersa looks quite similar to another well-known headset and this is what originally attracted me to them. Also, the orange headband and accenting were a great way to draw in my attention. 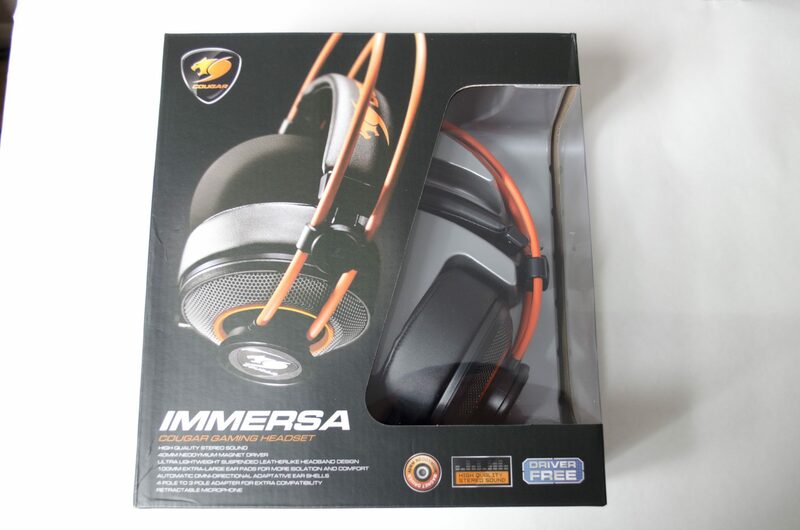 Aesthetics aside, the Immersa headset also features 40mm Neodymium magnetic drivers for crisp clear audio which are found in loads of headsets. 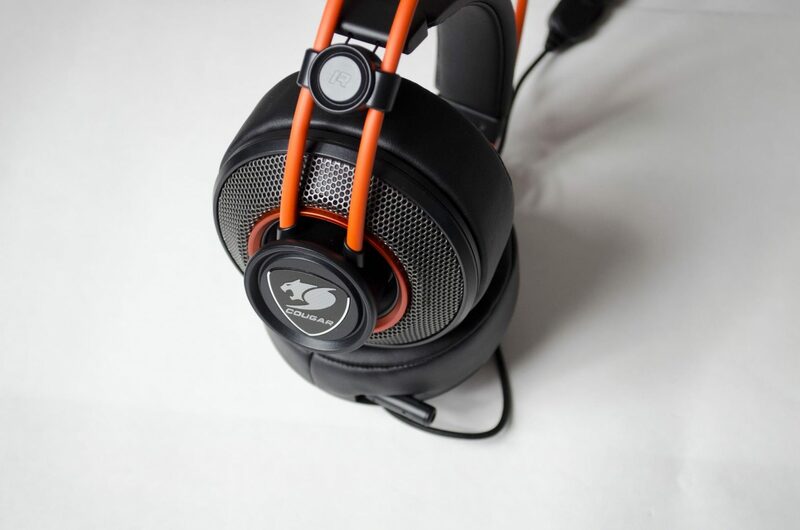 These drivers are well-known for offering a very immersive sound and can be found in normal headphones and gaming headsets alike. 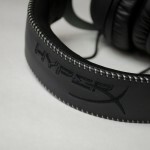 For comfort, the Immersa features 100mm extra-large leather ear cups that also offer good sound isolation. 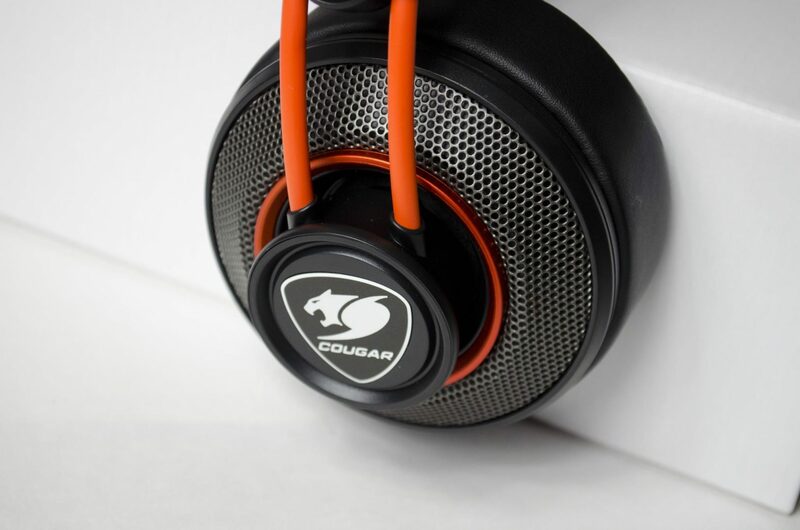 The Cougar Immersa definitely look like a great headset on paper, but will they live up to the hype? Let’s dive in and find out. The front of the box has a nice plastic window viewing area so you can actually get a look at the headset in the box and not just the image on the package. I love when companies do this as seeing the real thing is always better. On the back of the box, we have a bit more of the technical details as well as some specifically highlighted points that will help users decide if this is the headset for them. 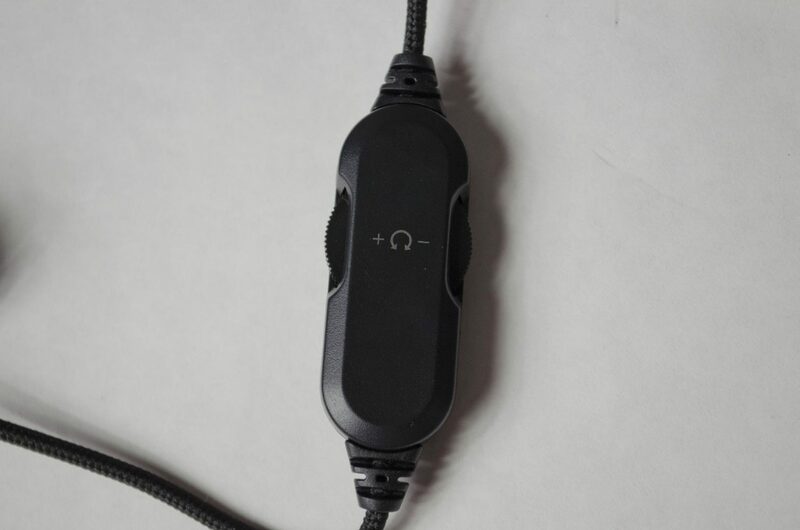 We can also see an image of the headset with the mic extended, as well as the volume/mic control switch that is attached to the cable. 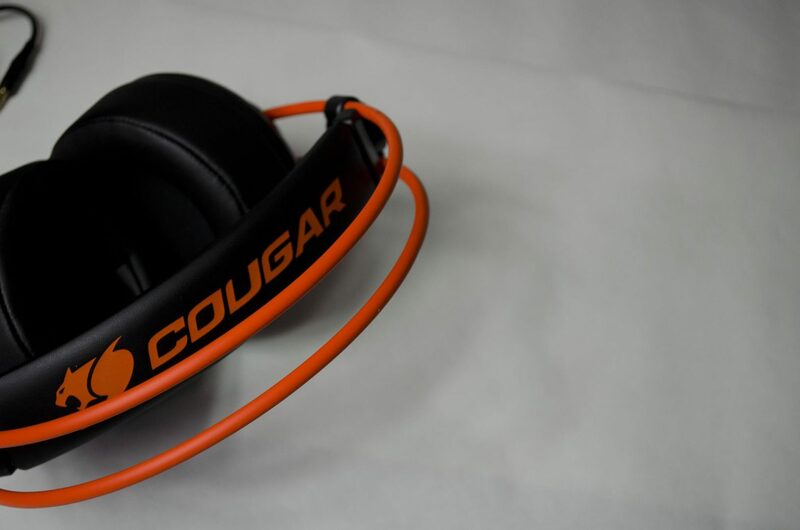 One of the first things you should hopefully notice about the Cougar Immersa is the bright and vibrant orange headband. 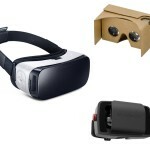 While this won’t be for everyone, there is no denying it helps allow this headset to stick out in most any situation. You will also more than likely notice the suspended leatherlike headband which offers great comfort over prolong periods of use. Between that and the 100mm ear cups, I managed to wear this headset for a good few hours straight one night and didn’t have any discomfort at all, they are very lightweight and comfortable to wear which is extremely important. The overall design of the Immersa is very pleasing. 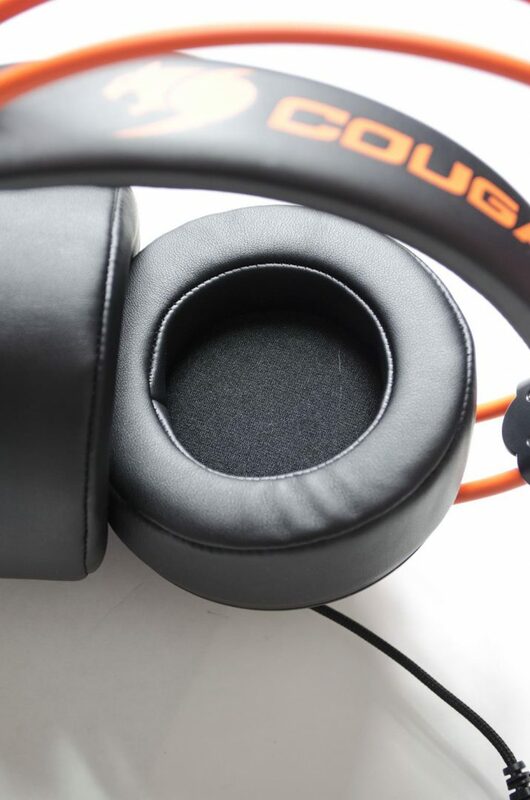 On the outside of the earcup, we can see where the orange part of the headband connects to the earcup. 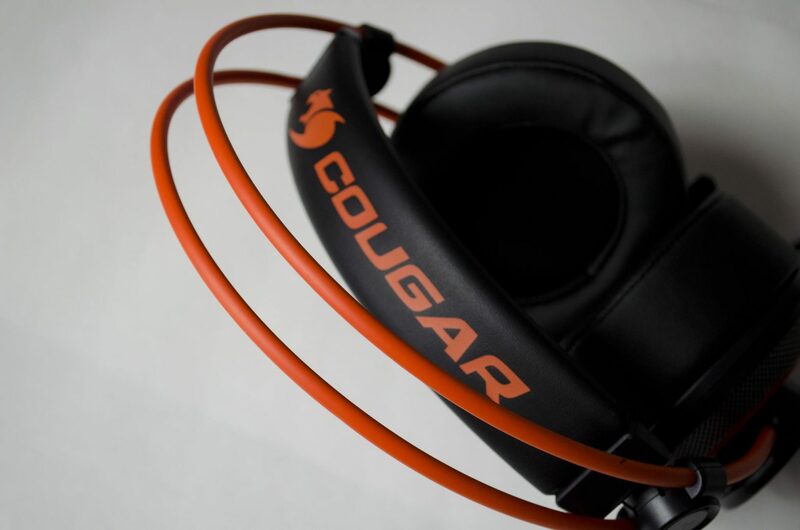 We can also see a nice pair of mesh and orange rings around the outside of the earcup and a raised circular area that features the Cougar logo. I wouldn’t consider these to be over the top flashy, but they definitely have an appealing aesthetic that you will want to show off. A little higher up the orange band from the earcups, you will find the side designators, which fit perfectly with the theme of the Immersa and are marked with an R or L.
I am a big fan of retractable mics. This means you can tuck it out of the way without having to worry about losing it as if it was detachable. 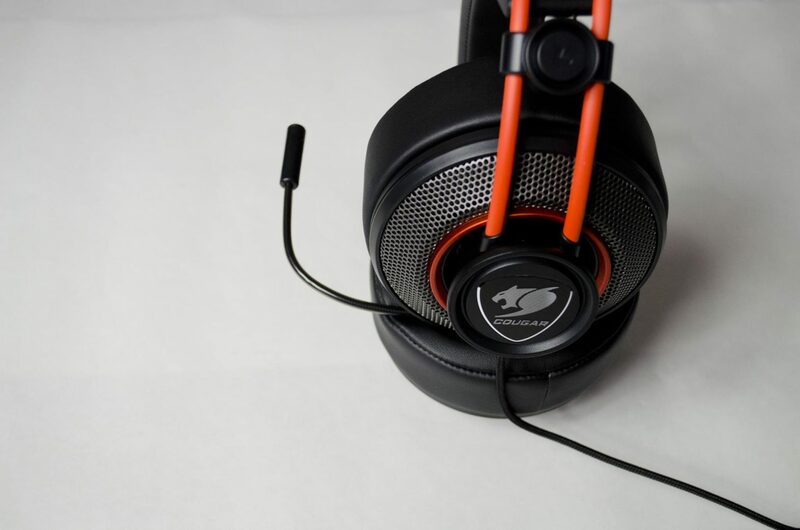 As you can see in the image below, the mic goes almost all the way into the left earcup, sticking out just enough so you can pull on it and extend it when you are ready to use it. Once it is fully extended, you can easily bend it to your desired position and unlike some mics of this type, it actually stays where you put it. Taking a peek at the inside of the earcups and you can see just how much padding there really is on these 100mm ear cups. When first putting them on, it’s almost like you’re wearing a pair of nicely fitting pillows. While everyone wants a good sounding headset, comfort is always one of my top priorities as it won’t matter how good they sound if you can’t wear them for more than a few minutes at a time. The amount of padding is insane and is just so comfortable to wear. 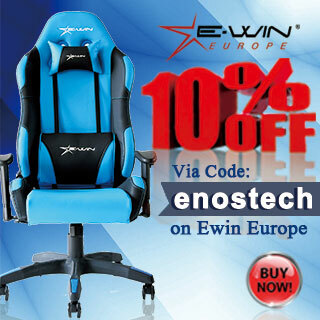 I had absolutely no discomfort what so ever during any of my testing sessions with the Cougar Immersa. The topside of the suspended headband has the Cougar logo and text on it which shows up quite nicely between the orange headband bars. Cougar has done a great job with the orange accenting on the Immersa which allows a vibrant and pleasing look, without being overly in your face. Another thing I was pleased to see was the mic and volume control panel right on the Immersa cable. 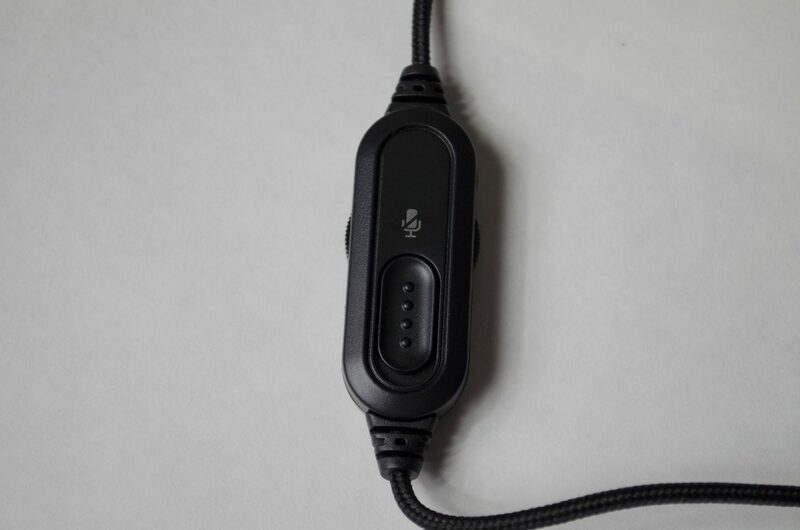 This will allow you to turn on or mute the mic and also control the volume right from the headset. This is a great feature to have and will come handy during gaming sessions, especially when you need to tell you Mom or other-half that you can’t pause online games! 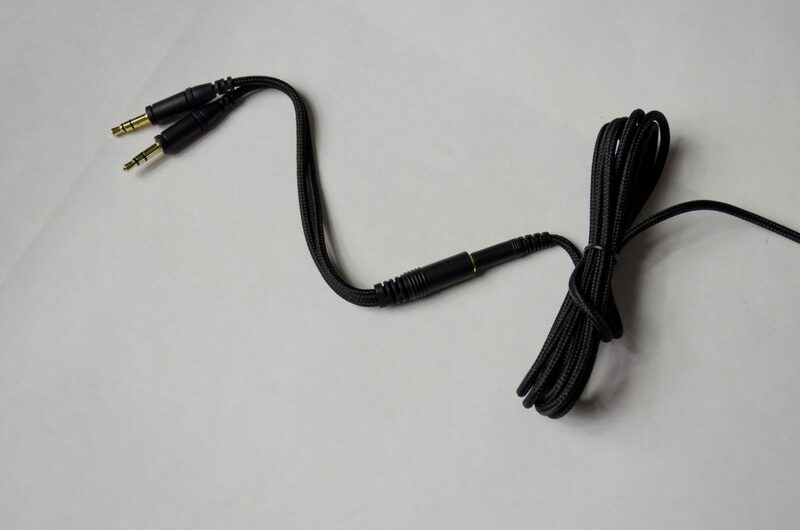 The cables are braided and the Immera also comes with a 4 pole to 3 pole adapter for more compatibility and allows this headset to be used with most any device with a 3.5mm jack! There is no designated software for the Cougar Immersa and this is just fine with me. For those really into their music and sound, they will almost already have some sort of program that controls things, so no point in needing two programs to control one headset. The headset simply plugs and plays right out of the box and you can continue using your preferred software to control everything. 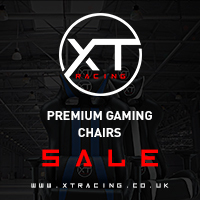 The performance on offer is great as they offer a great way to distinguish sounds from one another while in-game. What I mean, is it is easy to tell the difference between two sets of footsteps or similar noises. It’s even easier to tell the difference between different sounds while also being able to tell the direction they are coming from. 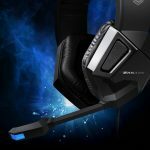 For gaming, this is definitely a great headset. 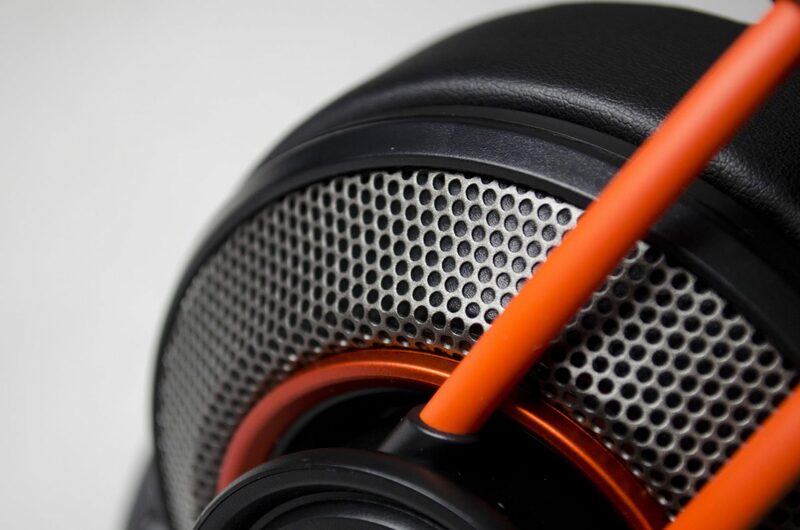 The 40mm Neodymium drivers are great and really do offer an immersive sound when gaming. It becomes quite easy to get lost listening to all that is going on around you while in-game. When it comes to listening to music, the Immersa offers a great experience. I listen to a lot of hip-hop mixes and house music and have to say, I enjoyed every minute of it. 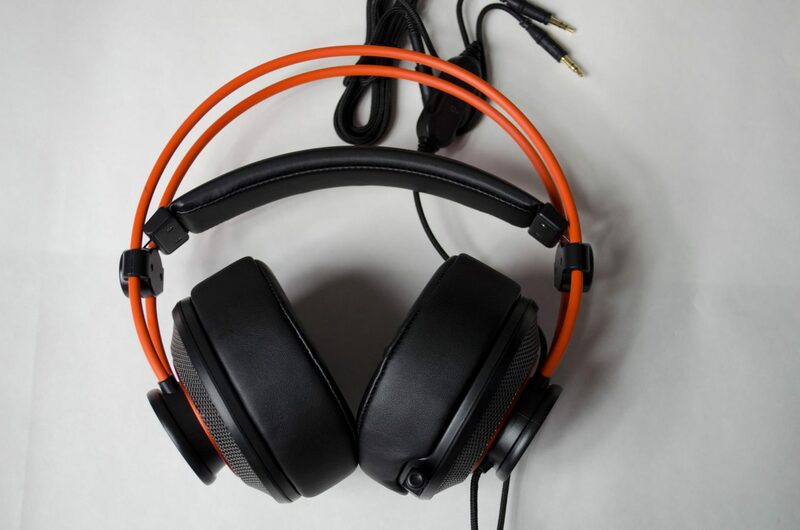 While the Immersa may not be the loudest overall headset, it is plenty loud and the extra clarity between sounds makes a bigger difference that just loudness. 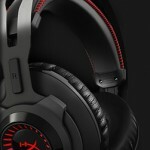 It is worth remembering that these are designed to be a gaming headset though they are still quite suitable for music. 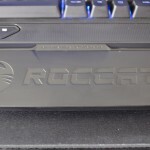 The time has come yet again for me to put the final touches and express my thoughts on another product. I had a great time testing the Immersa headset from Cougar and am sad that it has come to and end. Testing peripherals are great and headsets/headphones are something I use on a nightly basis while I write reviews into the late hours of the night. Enough of that, though, let’s go ahead a hear my final thoughts on this headset and get back to the fun stuff, gaming with them. 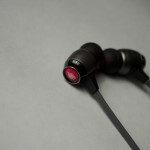 The performance was great, thanks in part to the 40mm Neodymium magnetic drivers. These drivers are quite loud and they sure do offer a great sound and make it easier to determine different sounds. For gaming, they were great and allowed me to hear the direction my enemies were coming from which gave me the upper hand in most circumstances. Aside from that, being able to tell what sound is what and where it’s coming from will allow you to hear the areas you would probably want to avoid. This came in extremely handy when playing overwatch and wanting to avoid running into the other teams Reinhardt hero! I may be a good Junkrat but I do try to avoid Reinhardt when possible. 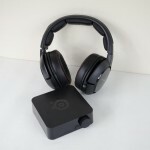 While these are primarily designed for gaming, they are also very suitable for listening to your favourite music. As mentioned, while I do listen to a lot of hip-hop and house music mixes with a lot of different sounds going on, the Immersa was up to the task. 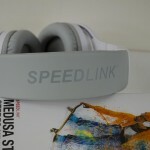 They offer good bass and very clean and crisp highs, giving user’s the best of both worlds. The distinction between sounds is also amazing and definitely shines more in some tracks rather than others but overall, they offer a great listening experience. This is something I am very found off on the Cougar Immersa, the design. The orange headband and accenting offer a very pleasing look that is sure to draw user’s in without being over the top in your face. 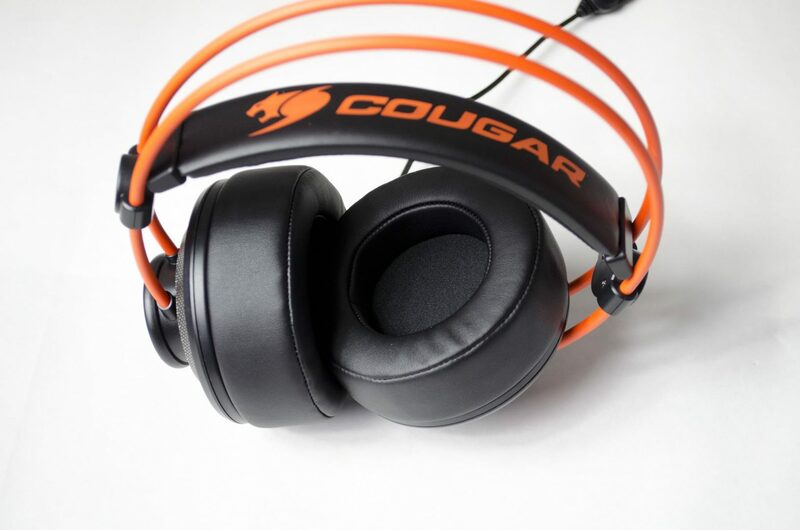 Cougar has done a great job with the overall aesthetic of the Immersa and as far as comfort goes, Cougar has hit that ball out of the park, The suspended headset and 100mm earcups with that extra thick padding on them will allow you to wear this headset for hours without feeling any discomfort at all, almost forgetting you are even wearing a headset, to begin with. Let us also not forget to once again mention those 40mm Neodymium drivers that help power this whole experience and offer a great sound! Carrying a price tag of $47 USD, the Cougar Immersa offer great value for the money. When they hit the UK, we can only hope they will be around the £40-£50 mark at most which will make them a real contender at this price point. 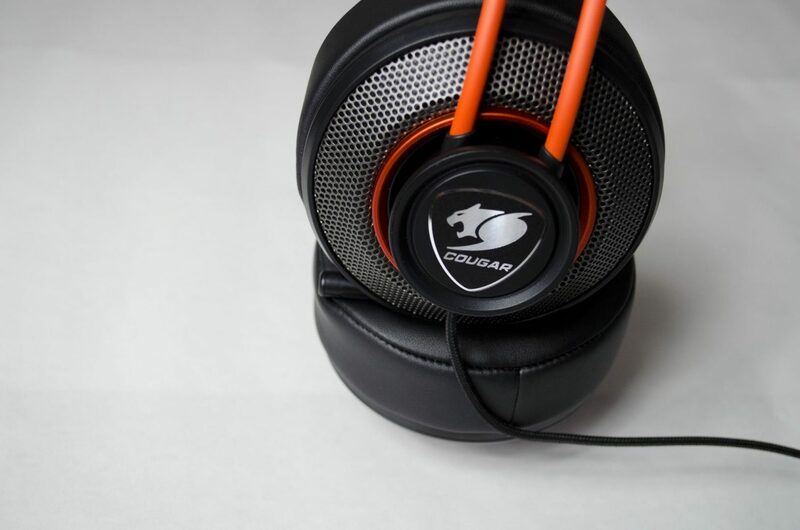 For those looking for a great pair of cans that won’t break the bank, Cougar has a seriously appealing offer in their Immersa Gaming Headset. 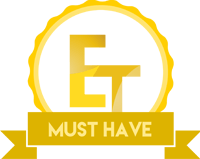 For the money, you are getting a great performing pair of headphones and ones that are extremely comfortable, you really can’t go wrong! 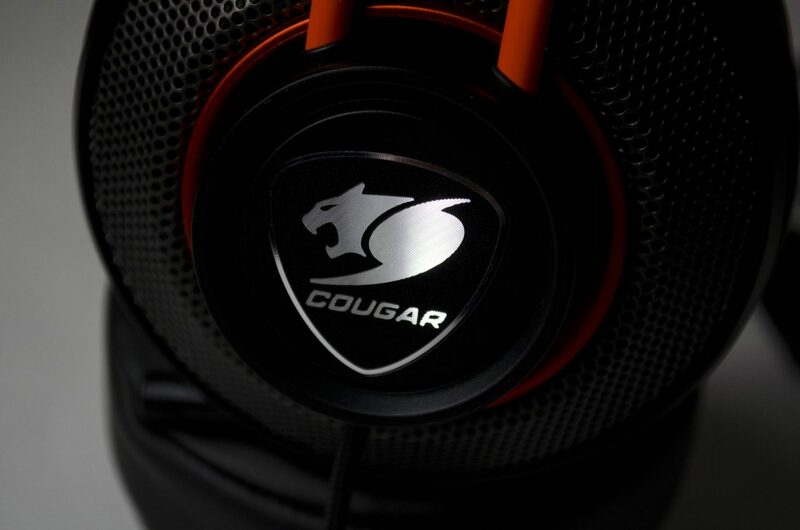 What I can tell you is that the Cougar Immersa is a great headset. It offers a pleasing exterior and is composed of great internal parts that allow it to offer a good all around time. Whether you are looking to show them off or get down to business in your favourite game, the Cougar Immersa have you covered! 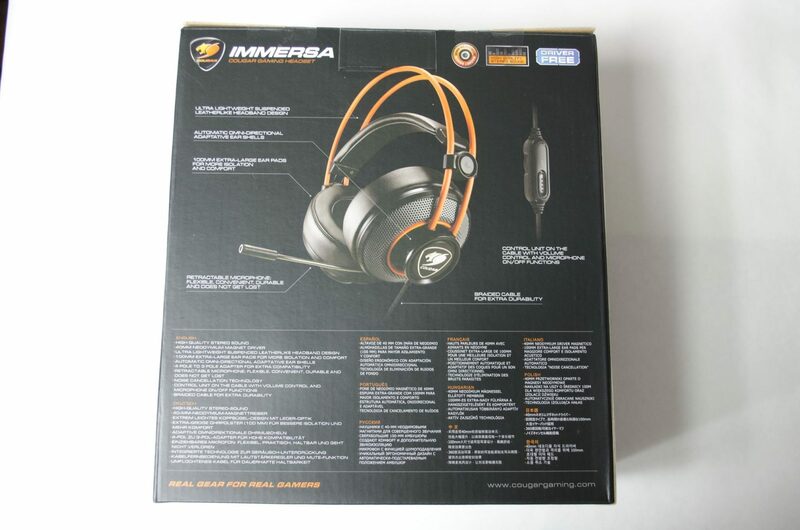 Many thanks to Cougar for sending in their Immersa headset for review. 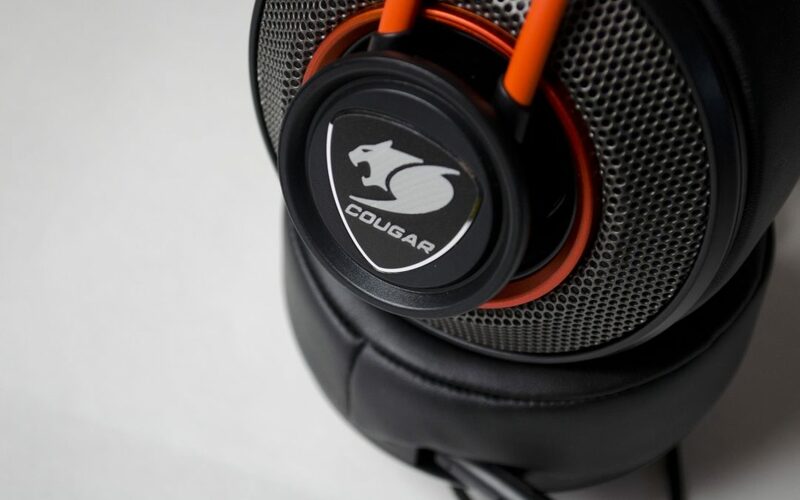 Want to discuss this review further, head on over to the Cougar Immersa Headset Review thread, in the Enos Tech Reviews Sub-category on the Gaming Exodus forums!